Wow I found a great Chicken Marsala recipe that makes just the right amount for two. It's DELICIOUS! 1. Add oil to hot pan, sauté chicken. 2. Remove chicken, add Marsala, light and flambé. When flame disappears, add mushrooms, scallions, garlic, and shallot. 3. Sauté until mushrooms are tender. 4. Add beef base, simmer. Add cream and simmer. Whisk in butter and add chicken. Simmer one minute or so and serve. 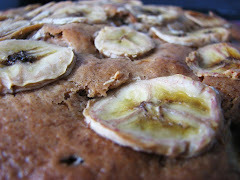 So sorry I've neglected this blog for so long, but I'm back with a very special recipe. 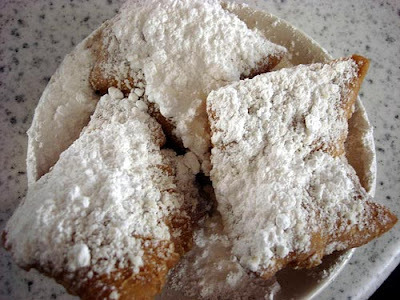 If you've never had a beignet you are in for a real treat. 5. Heat 2" of oil in a deep saucepan to 375 degrees. Punch dough down and divide into four pieces. On a floured surface, roll one piece out to a ¼" thickness. Cut dough into 2" squares. Repeat with remaining dough pieces. Fry squares in batches, until golden brown, about 1 to 1 1/2 minutes per side. Drain on paper towels. Dust immediately with confectioner's sugar.